This bright crop top is everything we are loving this season. 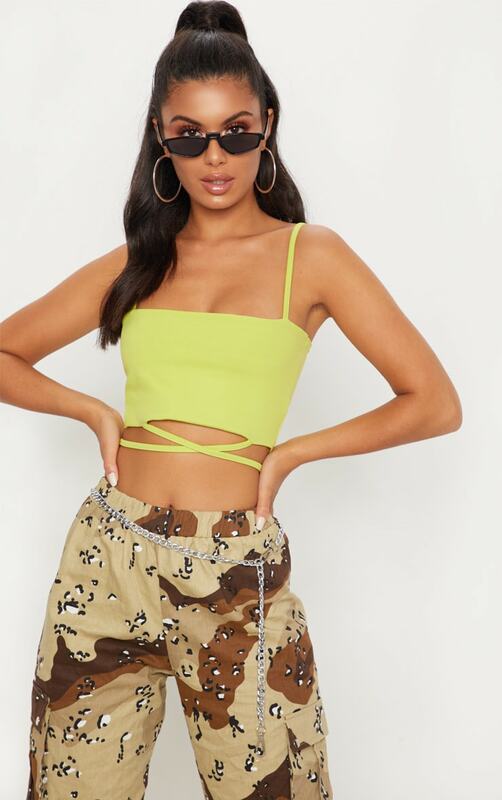 Featuring a lime material with a strap detail in a cropped fit. Style this crop top with some cargo trousers and lime heels for a bang on trend weekend worthy look.